Performing an LTE drive test is an important part of how wireless carriers determine whether their networks are performing well — and get a glimpse into their competitors’ network performance. There are multiple types of LTE drive tests, as well as specific parameters and requirements that should be met for drive tests. LTE drive tests consist of two basic types: UE or user equipment based, and benchmark testing. UE tests consist of hooking up multiple, live end-user devices such as smartphones and tablets in order for a carrier to get a good look at how devices perform on its networks. Benchmark testing also includes UE devices that run on other operators’ networks, with some running voice calls and some making data connections, for perhaps 4-5 of the largest carriers in a given area in order to determine how an operator’s network measures up to the competition in a geographic area. Benchmark testing usually involves more devices than UE testing. Equipment for LTE drive tests generally includes a scanning receiver and multiple UEs, plus a laptop that is running software to record the data from the drive testing that can later be analyzed in a laboratory. One example is the Anritsu’s Link Master ML 87110A a multiband receiver or scanning receiver, with the 10 model designed for use in North America and the 20 model for international use. The UEs provide data on performance and interactions with the network, while the scanning receiver can pick up sources of interference that can hamper network performance. Some sources of interference can include repeaters inside businesses meant to improve cellular network signals that actually interfere with the network; and more prosaic sources such as certain fluorescent lights that can generate strong interference signals. Generally, the network trend toward small cell and distributed antenna system deployments has also meant an uptick in a new type of “drive” testing: walking, in order to best simulate a user’s experience in areas with heterogeneous network coverage such as stadiums, large convention centers, and major metropolitan pedestrian areas such as Times Square or downtown San Francisco, where a significant percentage of mobile users will be on foot rather than in vehicles. Operators also received requests for walking “drive” tests of railways and subways. Major new DAS installations were recently installed in New York City. RSSI: Received Signal Strength Indicator, or the strength of the reference signal. SINR: Signal-to-Noise Ratio, which compares the strength of the signal to background noise. RSRP: Reference Signal Received Power, the power of the reference signal. This is an LTE-specific drive test parameter and is used by devices to help determine handover points. For now, LTE drive testing is mostly related to data performance, as Voice over LTE is not yet widely deployed. 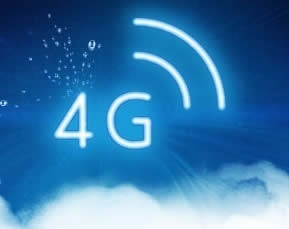 However, with larger deployments of VoLTE expected by the end of this year, LTE drive testing will soon come to include the testing of voice calls made on the LTE networks. Although some of the LTE drive test data can be analyzed during the drive test process as it is displayed on a laptop screen, much of the details can best be examined in a lab. Software in the PC communicates with the devices’ chipsets in order to record and display the data. Drive testing is required by the Global Certification Forum as part of its process to certify devices for wireless networks.